VN Engineers is currently providing Construction Engineering and Inspection Services to HAKS Engineers for the Catenary Section C1B project. VN Engineers responsibilities include the inspection of over 30 miles of overhead catenary wire replacement, installation of catenary structures and foundations and associated track, signal and communication upgrades. Replacement of open deck superstructures with ballasted decks, and rehabilitation of existing abutments on five Metro-North Railroad bridges. Estimated Cost of Project: $180,300,000. 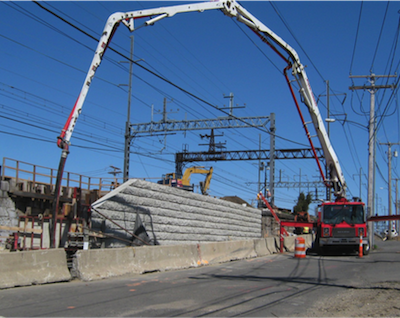 This project consists of replacing the catenary wires and 3 Metro North Railroad overpasses along with improvements to the roadways below. VN Engineers responsibilities involve the observation of the superstructure demolition and existing masonry abutment removal along with the monitoring of the structural excavation. QA/QC for all aspects of bridge and road work including installation of temporary shoring, concrete placement, installation of new steel bridge decks and sidewalk and roadway repairs. VN Engineers was part of a team which performed soil compaction testing and concrete testing, rebar placement inspection, weld inspection, and other related material testing. Coordination with the contractor and subcontractors, quantifying completed work, keeping daily work records and tracking local police and Metro North workers was also part of this project. Project No. 0300-0099, Rehabilitation of Metro-North Bridge No. 37.82 (00316R) over US Rt. 1 in Darien, CT.
Project No. 0300-0098, Replacement of Metro-North Bridge No. 04132R over Rowayton Ave. in Norwalk, CT.
Project No. 0301-0033, Reconstruction of Metro-North RR Bridge over Monroe Street in Norwalk, CT. The Railroad Station at Fairfield Metro Center is a new addition to the Metro-North Line. 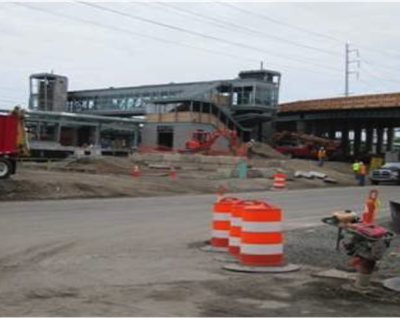 Located at Frank Street off of Kings Highway, this station will be the third station in Fairfield along the rail-line in addition to the existing Fairfield and Southport stations. This project includes the construction of two high-level rail platforms, a pedestrian walk bridge, as well as an access road with a vehicular bridge over the tracks. VN Engineers contributions to the inspection included the inspection of the installation of signals, catenary and tracks along with the review of project documentation, inspection of building demolition and structural excavation, concrete testing, inspection of vertical structures (vehicular and pedestrian-walk bridges) including the installation of structural reinforced concrete, inspection of utility and drainage installation including backfill, compaction and sedimentation controls, and the inspection of the removal process and transportation of contaminated soils. Coordination between VN Engineers and the Connecticut Department of Transportation has been a large part of this project and has been critical for its’ smooth running. Inspectors also monitored Metro North railroad force account work, DWR, and upheld knowledge of the Site Manager Program. 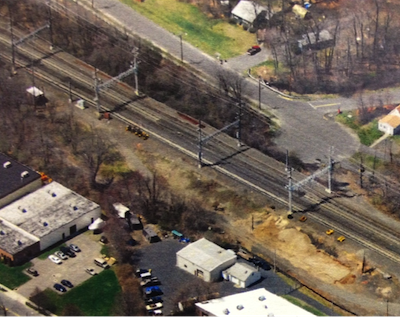 VN Engineers, Inc. is currently providing Construction Services for the replacement of five New Haven Line Substations. The project includes the demolition of existing electrical traction substation facilities and related structures. The project also includes the construction of temporary and new substations and electrical delivery systems including underground and overhead facilities to convey power from the substations to the tracks as well as tie into existing facilities. 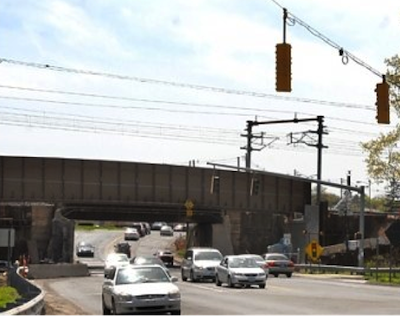 This project is located in E. Norwalk, S. Norwalk, Bridgeport and Milford. State Project No. 301-0072. VN Engineers is currently providing AI Engineers with Construction Support Services for the Replacement of Amtrak Bridge No. 00340 over Route 1 in Branford CT. This project consists of the replacement of the Amtrak Railroad Bridge over Route 1 along with approximately .8 miles of Amtrak Line. It also involves the reconstruction of approximately .5 miles of Route 1. This project will also include the widening of the underneath roadway, the adjustment of the railroad track profile and the construction of new abutments and wingwalls/retaining walls. Removal of the existing structure is also part of this project. ConnDOT Project No. 300-130. 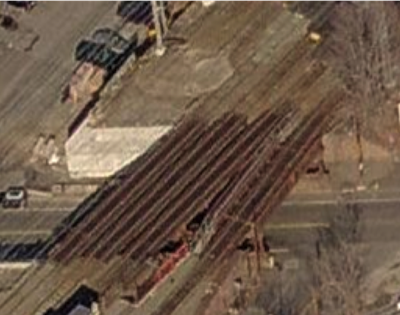 The purpose of the East Bridgeport Yard Project is to provide additional yard storage tracks for the maintenance and storage of revenue rail cars. This additional storage is required to house cars that are being displaced from the New Haven Yard, with the anticipated arrival of the new electric multiple unit (EMU) M8 fleet. The arrival of these new cars, over a two-year period, will result in an overall increase to the existing fleet by 100 cars. 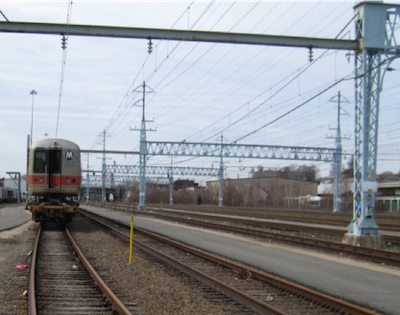 VN Engineers, Inc Performed inspection activities for modifications and improvements to East Bridgeport Metro-North rail yard. Inspection activities consisted of verification of proper size, and placement of reinforcing steel and concrete, including slump tests, air entrainment test, and generation of concrete tests cylinders for electrical duct banks, high mast caisson foundations, and miscellaneous foundations and slabs. Inspection and test verification for a new 480volt electrical system, including new transformers and motor control centers, and new rail lines and catenary electrical system for rail cars. Inspection duties included review of plans and special provisions, measurements and calculations for payments in accordance with ConnDOT Standard Specifications for Roads, Bridges, and Incidental Construction. Review of shop drawings and field verification of received products in accordance with the product specification and shop drawings.